Commercial lease disputes and arbitrations. Brian was a Sessional Lecturer at the University of Alberta Faculty of Law and is a regular instructor in the CPLED program. He has also presented papers to the insurance industry on legislative issues. Brian was a community league soccer coordinator and coach 1998 to 2007 and a Coach for the Edmonton Drillers Minor Soccer Club 2005 to 2006. He is also a member of the University of Alberta Golden Bears Soccer Alumni, as well as other community organizations. In addition he was a youth basketball coach and president of a high school basketball association. 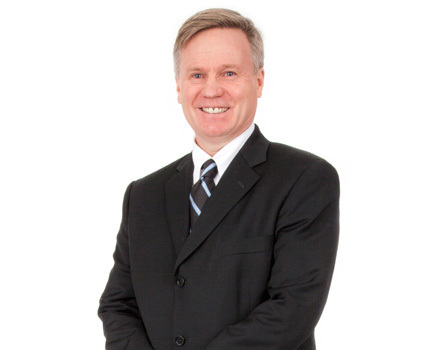 Brian was selected by his peers for inclusion in the Best Lawyers in Canada 2014, 2015, 2016, 2017, 2018 and 2019 for Insurance Law. Brian is a member of the Canadian Defence Lawyers, Defense Research Institute, The Advocates Society and the Canadian Bar Association. And he is a past member of the board of directors of the Edmonton Golf and Country Club. Brian Wallace was recently selected by his peers for inclusion in Best Lawyers in Canada 2018 in the field of Insurance Law. Listed in Best Lawyers since 2014. Brian Wallace was selected by his peers for inclusion in Best Lawyers in Canada 2017 in the field of Insurance Law. Listed in Best Lawyers since 2014. Brian Wallace has the Martindale-Hubbell rating: BV Distinguished. The Martindale-Hubbell Peer Review Ratings are an objective indicator of a lawyer's high ethical standards and professional ability, generated from evaluations of lawyers by other members of the bar and the judiciary in the United States and Canada.